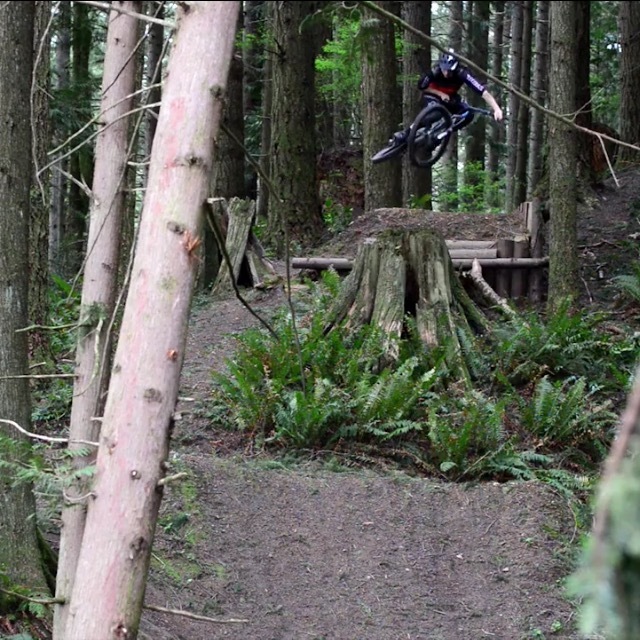 The Mtn Creek Pro GRT started out great, I got some time to check out the park and get familiar with the terrain. I was able to get my bike dialed in before the first day of practice apart from a few suspension changes. The first day of practice I was taking things slow and decided to really focus on less riding and more learning. I wanted to really learn this track and make sure that I could push each section to the fullest. Each practice went great and I started to pick up speed the morning of seeding. I was feeling on fire and went into seeding feeling great but not sure what to expect. During my seeding run I felt out of rhythm and had no flow throughout the entire run. When I got to the bottom I had no clue that I seeded in first position, so I rolled back over to the pits not knowing I seeded 1st. Going into the day of finals I was feeling awesome, I had a great practice run, and was going for a second when I got a flat. I hurried to the bottom to change it and got a great run in before finals. As I was cleaning the bike and making sure everything was ready to go, the rain started to roll in. I went up early to walk the track a little ways to see how the dirt was looking. It seemed good so I went for it, although I had a lot of mistakes in my run I ended up with the win. I’ve been preparing for this year for a long time. My coach, Evan St.Clair has been pushing me and getting me ready for my senior year as a junior. He has more knowledge in racing than anyone I have met. He has been a professional in many different sports like snowboarding, skateboarding, and cycling. He knows racing inside and out, and not only does he help with racing skills, he also provides a strong mental edge that helps keep me focused when on course. If there’s one thing I feel he has taught me above all, is to race with honor and integrity no matter the circumstances. This was a great venue, and I can’t be more happy with how it turned out. 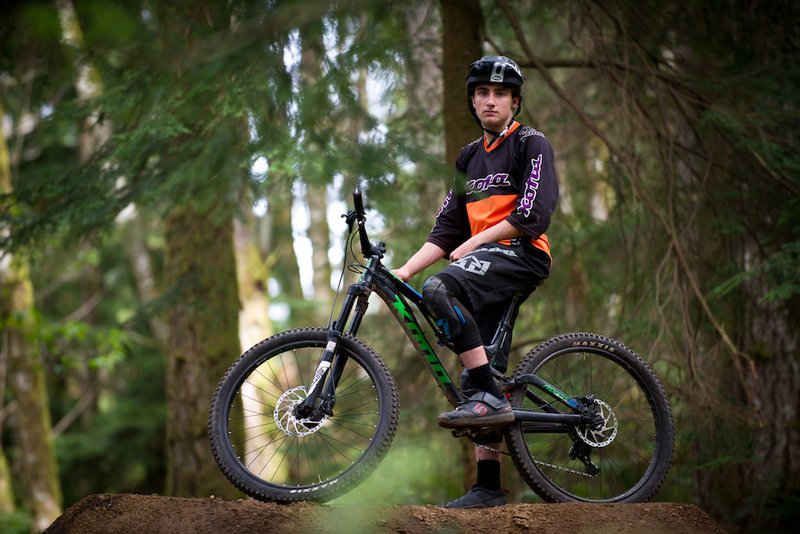 I want to give a huge thanks to everyone who has been involved with my racing career, as well as Transition, Troy Lee Designs, Fox, Shimano, Anvl, Industry Nine, Defeet, Cane Creek and Muc-Off! 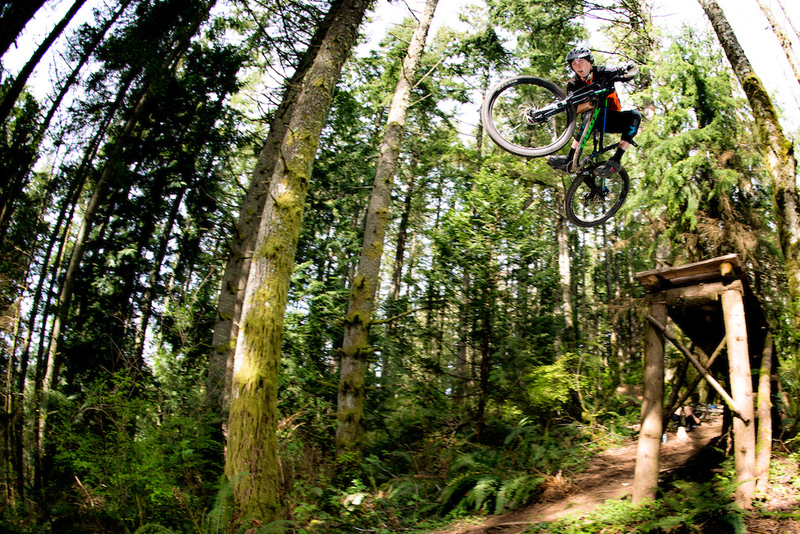 Mountain Bike Nationals is a jam packed week full of surprises. When you’re in the middle of the mountains of West Virginia, at Snowshoe resort, rain becomes a regular. The week started off with some awesome runs with my friends to get relaxed and in the groove of things. On Monday, downhill practice started off with getting to know the lines on the course. There were several big moves on the course to get comfortable on, along with some technical rock gardens. Overall, it was a fantastic course with lots of line options. After downhill practice that day, I got to get some time on the Dual Slalom track and make a few runs to familiarize myself with it. Tuesday was a rough day, as I went down in a rock garden and had deep bruising in my leg. The remainder of the week went well with practice and I had gotten my leg to stop bothering me. Then, on Thursday it was Dual slalom qualifying. Every rider had to take a run on the blue course, and then one run on the red course. I wasn’t sure where I would finish in qualifying as this was only my second Dual Slalom race. I was shocked and also excited when I had found out I qualified 1st. On Friday the rain rolled in and there was a huge debate on whether Dual Slalom finals would be that afternoon or postponed until the next day. So USAC called for a riders meeting and we all took a vote on when to have finals. So, we all decided that finals would be that afternoon. The course was very slick and muddy. On my last practice run down, I took a bad fall (photo above) in a berm which resurfaced my bruised leg. I was having trouble with a lot of pain and was about to quit. Then I remembered to when I was 8 years old watching Danny Way live at the XGames. Danny took a huge fall and was dealing with several injuries, but went back to the top and did another run and won the silver medal. I decided I was going to go back to the top and and give it my all. In between heats I Couldn’t stop thinking about Danny and how determined he was and how the desire to win was more than the pain. I wanted to win, I kept going and kept racing my way through, round after round. Then, I was sitting in the gate for the final 2, and I was able to put down 2 clean runs and take the top spot in the Junior Dual Slalom Championship. The remainder of the weekend was downhill practice and qualifying. I was having more pain in my leg and pushed through qualifying to finish 7th. The track was nasty and relentless. Finally, It was Sunday, and it was time for finals. I was on a great run until the finish line was almost in view. I started to slide and clipped my handlebars on a tree and had on of the longest crashes I’ve ever had. After walking back up and getting my bike, I came down to the finish in 9th place. The entire week was an awesome experience, the people you meet, ride with, and just have a friendly chat with gives me a feeling of being at home with cycling. One thing I have learned throughout my years of racing is no matter which discipline you race, whether its road racing or downhill racing… Every discipline takes training, hard work, and dedication. I am very thankful for the opportunities that my family and sponsors have given me, and look forward to next year for more great racing! To say the least, the Beech Mtn Pro GRT didn’t quite go to plan. The course was different from any other that I have raced. The race course had sections where it was all or nothing, full on or off, which made for an awesome course. If you have ever raced at Beech Mtn then you probably have heard of the curse.. Every race at Beech it rains, My dad and I predicted rain weeks before the race, and laughed about it when we were right as it poured down rain the entire weekend. Practice day was feeling good, had some good lines dialed and was running them smoothly. The day of qualifying the rain continued to come down and the mud started to show. I decided that given the mud, it was best to just relax in qualifying and be safe for finals the following day. My qualifying run started off pretty wild when in the first turn I immediately felt the bike uncontrollably slide around underneath me. I decided to just relax and play it safe. I seeded 8th with a conservative run and decided to embrace the mud. The next day was turning out to be a rather nice day, and before I knew it, it was time for finals. Unfortunately, I clipped a pedal on a rock and went down. I got up and continued on a decent run, where I would place 9th. I learned a lot this weekend and hoped to apply it to the next races to come. Also, a huge thanks to all the photos that Jay Shultz and GoJamMedia captured over the weekend! Race #1 Started off rather panicky, first practice run down hit a rock and broke a chain guide. Thanks to E*Thirteen I threw another one on and kept rolling. Practice went well for all racers, it was a great experience getting to race with the pros from around the world. Also, thanks to Kona Bikes, Shimano, and Fox for helping me to get an unbelievable race machine ready for the 2017 season. I want to take a minute to thank every person who has helped me get to where I’m at, from sponsors and family to my coach/Dad. My Dad has put countless hours into preparation for these races, bike setup, making sure we have all the tools and parts we need, and most importantly pushing me on the road bike and in the gym. My dad has guided me into getting faster and stronger he has been behind me pushing me every step of the way. I was very nervous and unsure where would finish in the Pro category. Practice sunday morning went great, did a few runs to go over my lines and make sure I had the course dialed. After practice the pre race nervousness set in as it normally does. Sitting in the start line waiting for my turn to “go to war” with the clock is the highest adrenaline rush I’ve ever experienced. Now, sitting on the start gate with my heart racing, waiting for the timer to count down thinking about the first lines in the course. “5, 4, 3” and off I went… My Run went well, despite a few sections, I got down to the bottom not expecting to have a good time, but instead got called for the hot seat for the fastest time of the day. I stayed in the hot seat for quite some time as more and more riders came down. I got knocked off the hot seat by some of the biggest names in the business, and was super stoked to be only a few seconds off of the times of the fastest guys from around the world. Again, if it wasn’t for the awesome support from Kona, Fox, Shimano, and my family I would not be where I am at today. This race was an awesome experience, and I can’t wait for the Windrock Pro GRT. Some photos from my trip to Bellingham Wa.